Come and play in our beautiful woodland and feed our farm animals with your toddlers and pre-school children. These sessions are deliberately flexible and child-led, enabling your child to explore and use their imaginations through free play and free flow, following their interests in the moment, in a positive, safe and natural environment without high levels of structure. ​The sessions are about building your child's self confidence, self-esteem and self-belief, as well as social skills, in a relaxed environment. 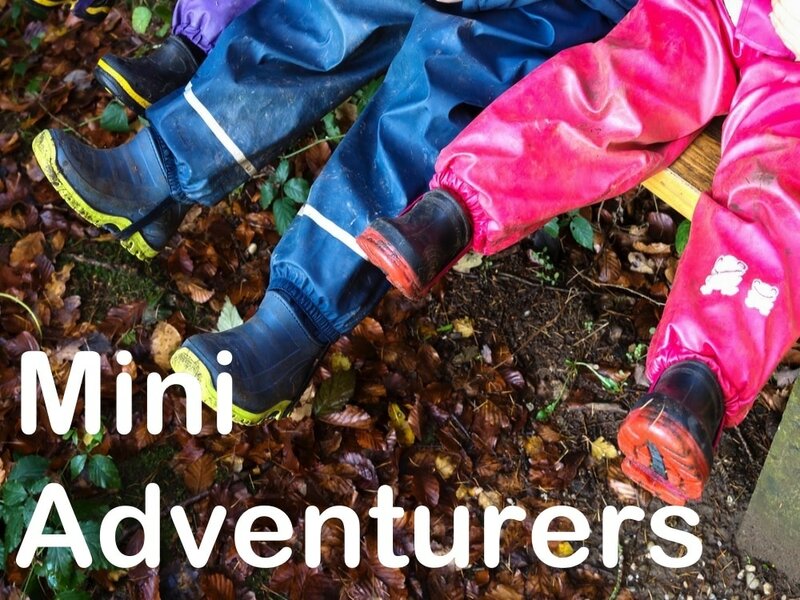 The sessions aim to encourage, nurture and motivate children to explore their own learning through sensory experiences with mud, getting dirty, getting wet, visiting farm animals, smelling the camp fire and often tasting camp fire food. Sessions are aimed at providing young children with experiences that support their early learning and development. The sessions are for children that are walking/toddling up to 5 years. Pre-booking is essential. Bookings are taken here for term periods and drop-ins are not permitted. Activities vary through the programme and may include playing with the mud kitchen, den building, free-play, arts & crafts, woodland games, camp fire and visiting farm animals. There is a likelihood of getting muddy / mucky. We have running mains water and soap so please do not bring wet wipes and gels. Our Quarry Hill, Box, Corsham site is a woodland with many trees that are exposed to nature. Trees provide some level of shelter from rain, but generally if it rains we will get wet! It is absolutely essential that all visitors (both children and accompanying grown-ups) come with the right clothing, meaning lots of layers, waterproofs and sturdy footwear (and in the warmer months sun hats and sun cream) as well as a "can do" and "up for it" attitude to maximising the outdoor experiences for all, especially the children.